After a lot of thought and late night talks (and ramblings) with Will I have decided to start charging for monthly advertisements. Just within the past year I feel so lucky to have watched this blog grow in ways I could never have imagined. I put a lot of my heart and time into it so helping it to continue grow just makes sense to me. I'm really excited (and nervous) to be starting this new advertisement program. In all honesty I just want to be able to do different DIYs/recipes and get those fun things I think you guys might like as giveaways (as my way of saying thank you for reading), without worrying about money. Ultimately I'd really like to be able to offer more to all my readers in the hopes I can have this little blog of mine grow and continue to connect with more of you. Therefore, it's important to me to point out that 100% of any profit made from sponsors will go back into this blog. So, now with the new paid sponsorship comes new perks! Featured Ad- There is only one Featured Ad offered per month. It will always be at the top above all other ads. 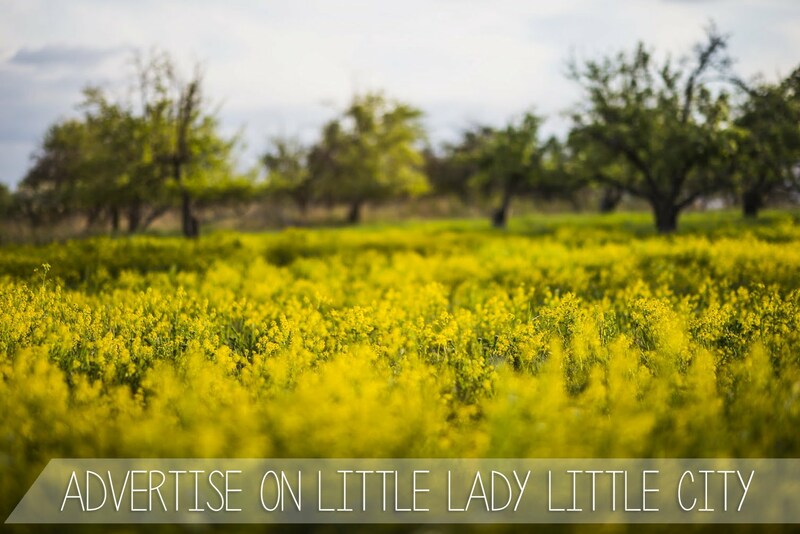 The Perks: You will have the option of writing a guest post on Little Lady Little City; whether it be DIY, recipe, or talking about your shop, you get to decide! Or if a guest post isn't your style you can host an individual giveaway instead. Either way, you get a post dedicated to you! And of course you will be featured at the top of the Meet The Sponsors post. Large Ad- Large Ads are located directly below the Featured Ad and will rotate every time the page is loaded. The Perks: You can participate in a group giveaway and will be feature in the Meet The Sponsors post. Small Ad - Small ads are located directly below the Large ads and rotate every time the page is loaded. It's a great way to start out if you are just testing the waters of paid advertising. In honor of the new ad program and as a thank you to all of you guys Featured and Large Ads will be 15% off with the code "FirstWeek" until June 1st. The new ad program will begin on June 1st, so check out the Sponsor Page for more information. Thank you for all your support and encouragement it means so much to me! And for those of you that already have approved Ad Swaps: don't worry this isn't going to change a thing for you, I'm honoring all of those swaps.